Keratin Hair Treatment can go wrong! 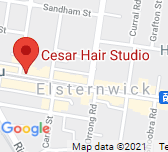 At Cesar Hair Studio we often have people come to us who have had a bad experience with their Keratin Treatment at another salon.​ Their hair is brittle and sometimes burned. Not the result anyone wants! So how does this happen? Usually it's due to the inexperience of the hairdresser applying the treatment, or often it can be because they try and rush to have the client in and out the door. To do this they heat the straightening iron way past the correct temperature resulting in burned hair! It is also very important that the treatment is applied and carried out precisely as the product manufacturer prescribes. A Keratin Treatment done correctly should last four months, but many people find the effects have gone a lot sooner due to the inexperience of the hairdresser they went to. At Cesar Hair Studio we only use the very best Keratin Treatment called 'behave'. We never rush and have many years experience providing this service. We have many very satisfied customers who come back time and time again. You can trust us to give you a fantastic result thats lasts! At Cesar Hair Studio we use behave keratin treatment which is is formulated with an innovative amino cell rebuild technology that has been specially formulated to penetrate the hair providing health, protection and long-term conditioning. behave contains argan oil, collagen and silk amino acids to smooth away frizz while adding luminous shine. What is a Keratin Hair Treatment and how does it work? Often, due to age and the use of chemical treatments, hair becomes porous. This can make it 'frizzy' and prone to tangle and break easily. Our hair is made of the protein Keratin, so a Keratin treatment will fill in the porosity of hair. Because it is essentially rebuilding the damaged areas, you can expect to see an increase in shine, less frizz, and an easier styling process overall. What is involved in a Keratin treatment? Using the recommended shampoo and conditioner. Will the treatment burn my hair? No it won't. The Keratin treatment works as a sealer on the hair strands without penetrating. Is my hair going to be straight? This is not a chemical straightener. It is designed to make your hair smooth, manageable and slick. Cesar does the best keratin treatment in town! The price is super reasonable too. Between 2 - 4 hours, depending on the length and thickness of your hair. How soon can I wash my hair after a Keratin treatment? We suggest that you wait 24 hours before washing, and we strongly recommend that you use the specially formulated Keratin take home shampoo and conditioners, to help protect and prolong the life of your treatment. Can a Keratin Treatment take away my 'frizz'? Yes, it makes your hair more manageable. It's perfect for those who want to 'tame' their hair! How soon after the Keratin treatment can I colour my hair? We recommend you wait at least a week by which time you will have shampooed your hair at least twice. This gives the Keratin treatment plenty of time to take full effect.